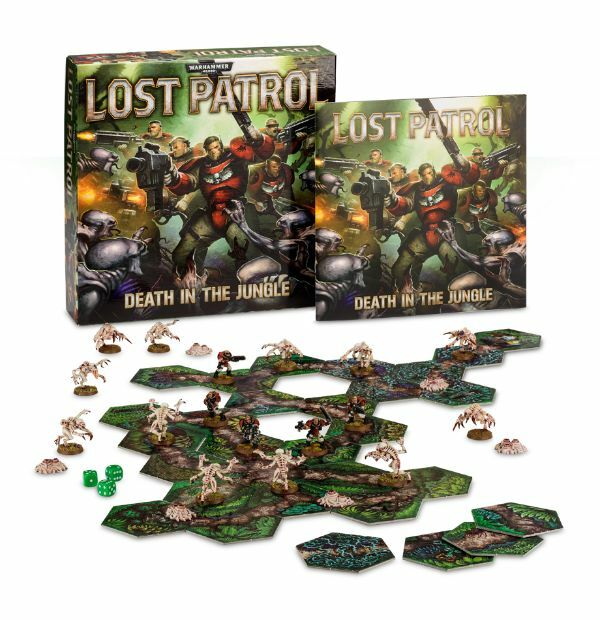 Games Workshop has their new board game, Lost Patrol up for pre-oder over in their webshop. Now, you might think, "Oh, another Marines vs. Tyranids board game. Pass." But, having had a chance to play it, I really think you should give it a look. For those that might've missed it or forgotten about it, I've already posted two different articles about the game. First was an unboxing, and then a full review. So you can check out what, exactly, you can expect inside the box, as well as a look at how the game plays. And as I mentioned, pre-orders are happening now with the games to ship out at the end of the week.